A "MyXperia" trademark filed by Sony possibly points to the company putting together a new cloud service for its Xperia mobile devices. The European Office for Harmonization in the Internal Market-registered trademark is intended to enable the "upload, storage, retrieval, download, transmission and delivery of digital content and media." Trademark 011197332 says that these functions apply to "mobile phones, smart phones, digital or electronic tablets, PDAs and/or portable and handheld digital electronic devices." The forecast for Sony's cloud-based service is backed up by the existence of MyXperia.com. Going there forwards users to the subdomain MyXperia.Sony.com, which asks for credentials. Sony is just the latest mobile device manufacturer with a desire to capitalize on cloud storage. Apple iCloud and Google Drive are already helping users sync files between their devices and computers. Both offer 5GB of free storage with the ability to expand for a fee. Microsoft is trying to up the storage ante by offering 7GB for free. Its SkyDrive service is also the only one that is compatible with iOS, Android and Windows Phone. And, Dropbox doesn't have a horse in the mobile device game - it only offers 2GB initially. But the popular storage-only service allows users to expand (up to 16GB) with referrals. Sony is late to the cloud storage race when it comes to mobile devices, but its experience in video games is once again a help to its technology division. One of the features of PlayStation Plus, the paid service for PlayStation Network users, is the ability to sync 1,000 save files (up to 1GB) with Sony's servers. Sony's gaming cloud has been running on PlayStation 3 for one year and is slated to come to the handheld PlayStation Vita next month with an extra 1GB of storage. There's no word on a release date for the company's MyXperia service. 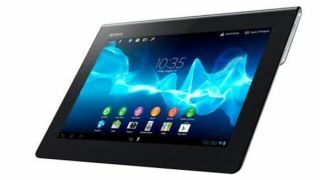 But given the fact that MyXperia.Sony.com is already up and running, it may not be long.